CardPlayer – Seminole Hard Rock Hotel and Casino Tampa is hosting satellite tournaments and special promotions giving players the chance to win a seat to the Seminole Hard Rock Poker Open featuring a $10 million guaranteed payout – the largest guaranteed payout in the world. The casino will award over 100 seats to the groundbreaking main event, held August 22–29, 2013 at Seminole Hard Rock Hotel and Casino Hollywood. For the seven weeks starting Sunday, June 30 at 6 a.m. through Friday, August 16 at 6 a.m., players with 15 hours of live play Sunday through Friday each week will receive one entry placed into a drawing. Two winners each week (14 total) selected from the barrel will each win a $5,300 seat. Players may also simply buy-in to any of the various $575 satellite tournaments held in July and August. July: On Monday through Thursday of each week in July, at 7 p.m. players can play a multi-table $575 satellite turbo tournament (15 minute blinds) for a chance at a $5,300 seat. 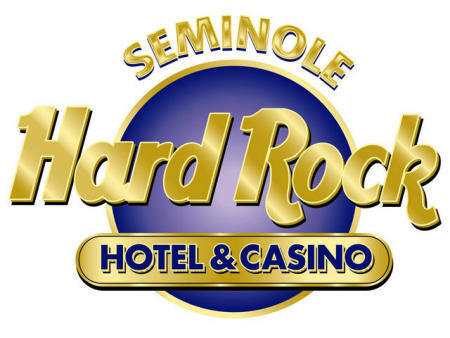 For every 10 players, the casino will give out a $5,300 seat to the Seminole Hard Rock Poker Open. Every Saturday in July, at 2 p.m., players can play a multi-table $575 satellite tournament (30 minute blinds) with a guarantee of five $5,300 seats into the Seminole Hard Rock Poker Open. August: The casino will be offering two major satellite multi-table $575 tournaments (30 minute blinds) each with a guarantee of 10 $5,300 seats into the Seminole Hard Rock Poker Open (that is 20 seats total for both tournaments). These two satellite tournaments will take place on Saturdays, August 3 and August 10. For more information, please visit the Seminole Hard Rock Tampa poker page. This is becoming a huge tournament.